Duplicate up to 5 CD/DVDs at a time. 500GB HD, Ethernet to HD or PC to HD via USB, Software/driver. 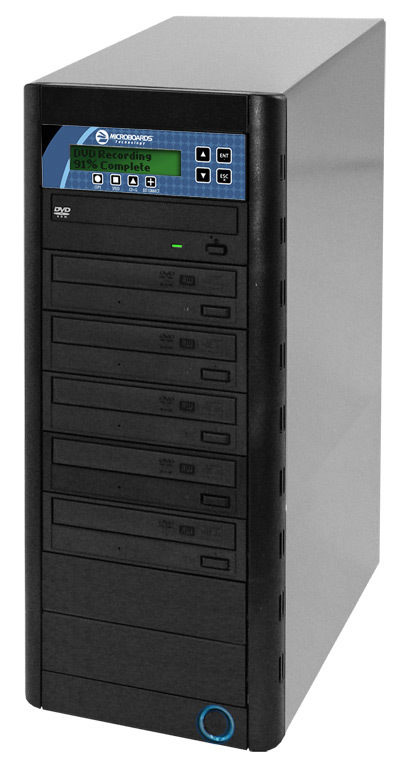 Duplicate up to 5 CD/DVDs at a time with 24X DVD and 48X CD burn speed. 500 GB hard drive allows storage of multiple disc images. Features 8-button panel and multi-line display. Ethernet to HD or PC to HD via USB.